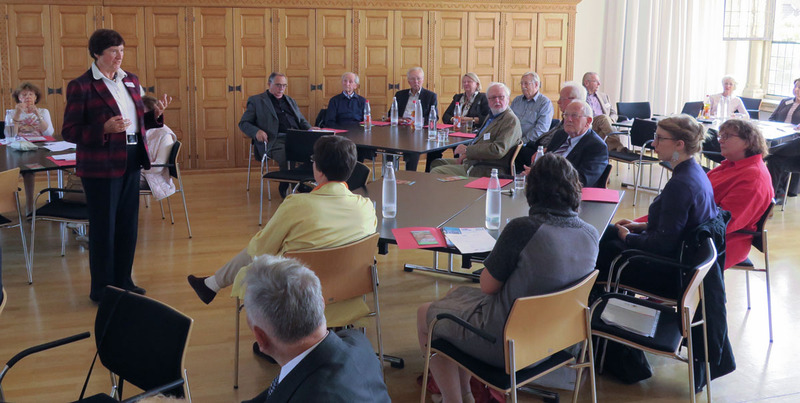 Lifelong Learning and Active Ageing were the themes of the Regional Conference, on Friday 11 and Saturday 12 September in Münster, Germany, organised by the European Seniors’ Union and the Senioren-Union der CDU Deutschlands. Taking the recent events into account, it was not a surprise that the refugee crisis and the role of Europe in this was also discussed. There were participants from Belgium, Great Britain, Luxemburg, Austria, Poland, Slovenia, the Czech Republic and Germany. Speeches were given by the president of the Senioren-Union der CDU Deutschlands, Prof. Dr. Otto Wulff, MEPs Heinz K. Becker and Dr. Markus Pieper, ESU President An Hermans, Prof. Dr. Ursula Lehr and Werner Jostmeier, after words of greeting by Josef Rickfelder and Leonard Kuckart. The full report, written by Claus Bernhold, and program of the Conference, and the speech given by President An Hermans can be found on below (only in German). The conference was managed nicely by ESU Vice-President Dr. Phil. Gabriele Peus-Bispinck and her team. The participants could afterwards enjoy a city tour through Münster.